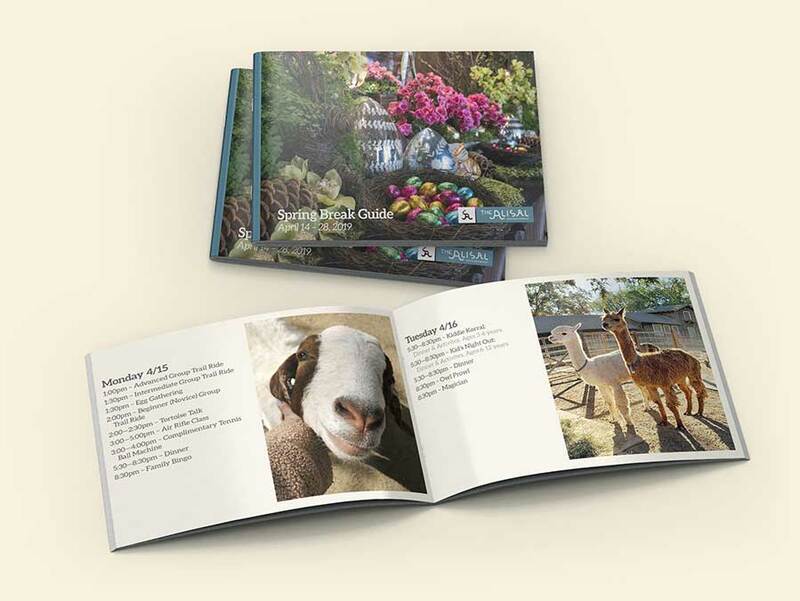 The Alisal offers an extensive list of activities year round. Take a look through our seasonal activity guides to see what awaits you during your visit with us. 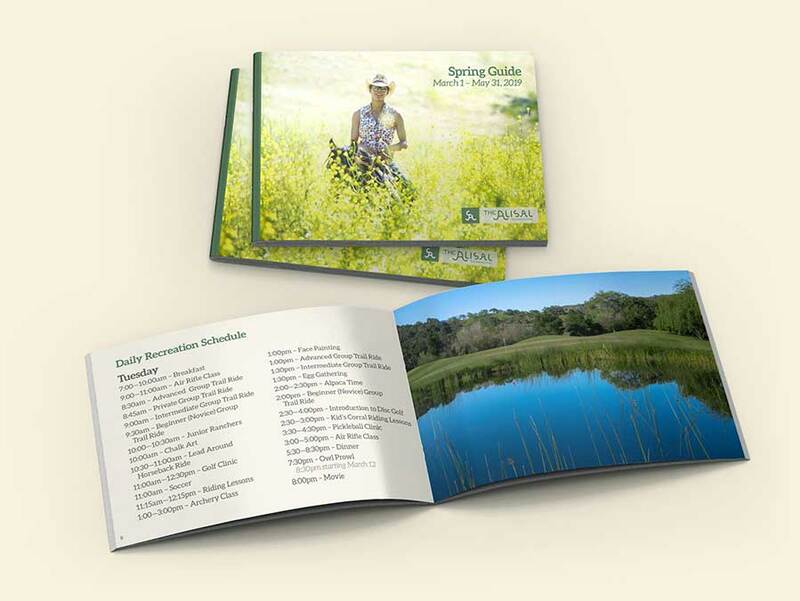 These guides are a fantastic way to plan your activities for your stay. They contain the full agenda for each day of your stay. You’ll be excited to see all of the ways in which you can enjoy the Ranch. Spring at the Alisal is breathtaking! 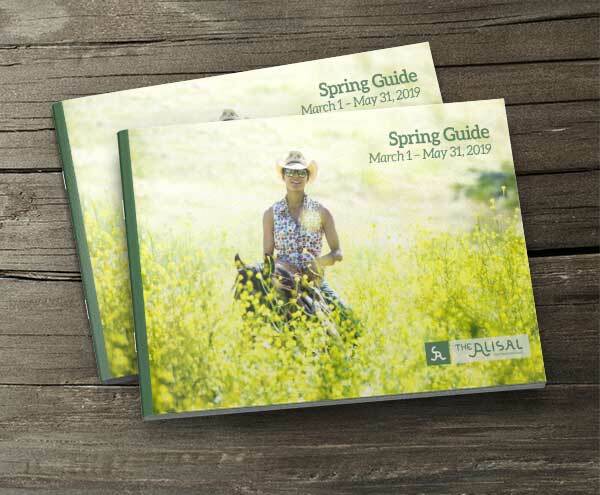 Download the Spring 2019 Activity Guide to see everything we offer in the way of outdoor and indoor activities. 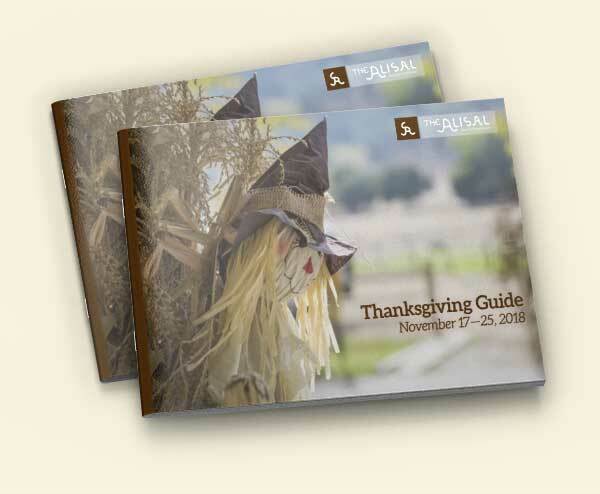 There’s something for absolutely everyone, and this guide will help you plan your time with us, so you can enjoy everything that is Alisal. Imagine a Spring Break where you can enjoy a meandering horseback ride to breakfast at the Old Adobe, a leisurely poolside lunch with local wines and brews, and then take in a sunset from the water at the Alisal Lake. Or maybe start your day with a morning massage at the spa, followed by hollerin’ for the cowgirls and cowboys at the Alisal Rodeo, and then help yourself to a traditional Vaquero BBQ out under the wide-open skies of the Santa Ynez Valley. 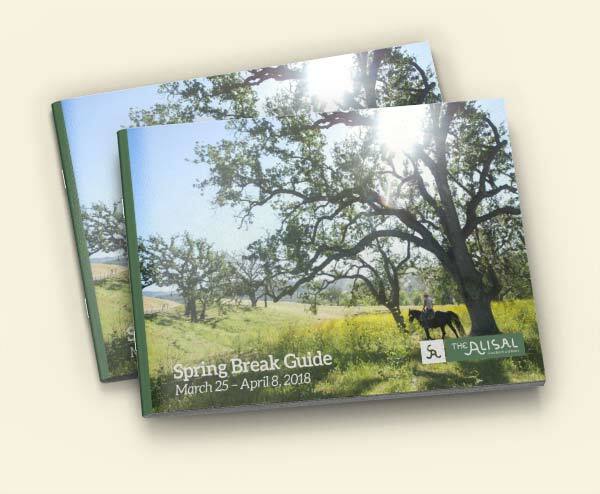 Explore our Spring Break Activity Guide to plan your perfect getaway to the Alisal. We can’t wait to see you! Looking for something that’s not listed in the current Activity Guide?  Go ahead and ask us the question directly, and we’ll be happy to help you. 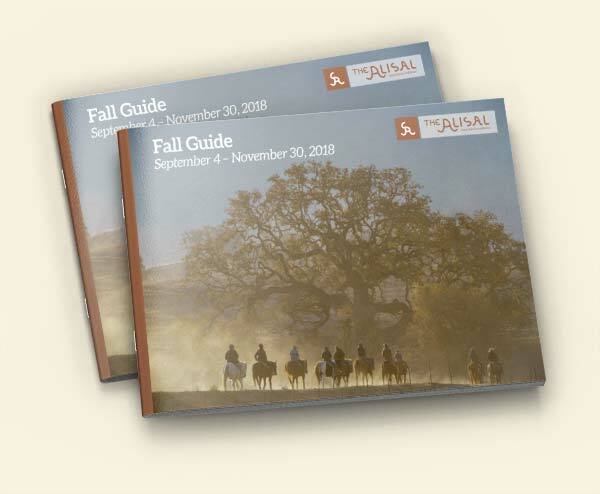 The guides below are from past seasons, so the information and dates will not be an exact match for upcoming seasons, but we like to provide these guides to our guests so they can get an idea of what activities we offer in the various seasons of the year at the Alisal. Are you planning a visit over a summertime week? 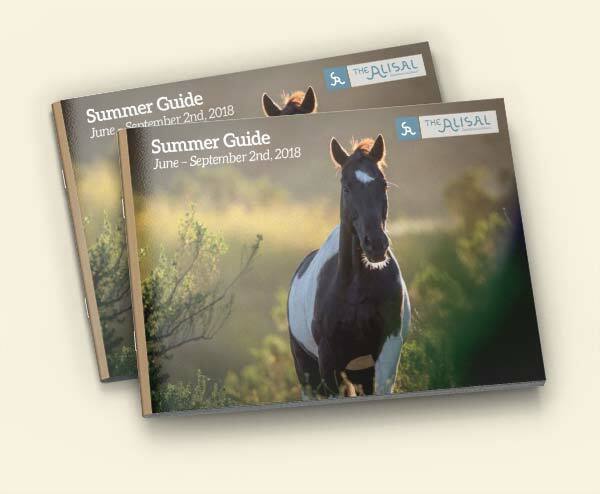 If so, downloading and viewing the Summer Guide will give you a good idea of the types of activities that will likely be available to you during your stay with us. As always, if you can’t find the information you need, just reach out to our Guest Services team. 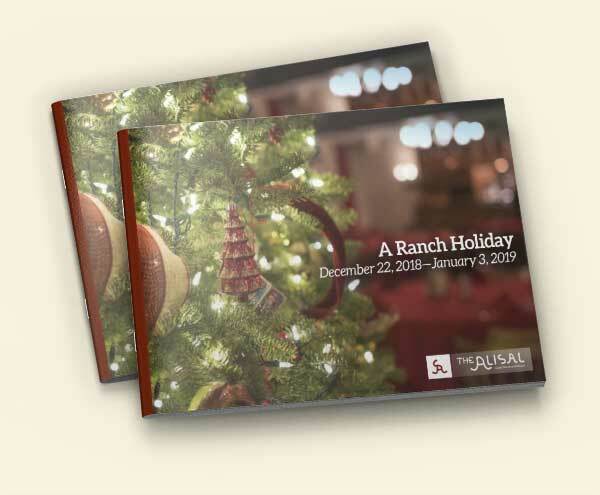 The Holidays are a very special time at the Ranch, and we have some equally special activities available for our guests. If you’re staying with us over holidays, you’ll want to see our Spring Break Activity Guide, our Thanksgiving Week Activity Guide and our Winter Holiday Guide! These guides list the activities for each day for these holiday seasons. 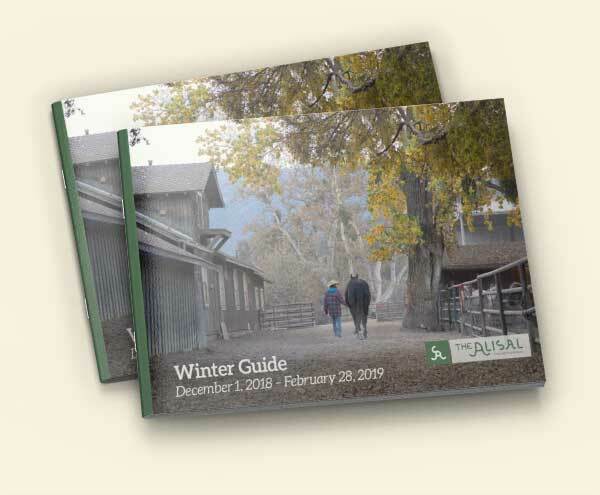 Peruse our Spring 2019 Activity Guide to see everything we offer during your time with us. 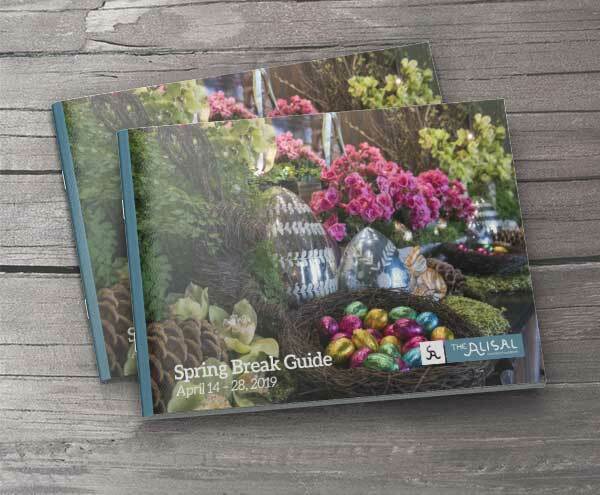 Use our Spring Break 2019 Activity Guide to see every special ativity we have in store at the Alisal for Spring Break 2019.